Genetic engineering in Agriculture is the point where technology blends with nature to bring the best possible output. The process of genetic engineering alerts the structure of genes through the direct manipulation of an organism’s genetic material. DNA is either added or removed to produce multiple new traits, not found in that organism before. Genetic material has been able to revolutionize agriculture in a way that could not take place by breeding naturally or natural recombination. The technology also allows the plant to resist herbicides while they grow. Further, it produces the plants resistant to infestations and drought. And genetic engineering has a drastic impact on animal products. Basically, it allows more people to enjoy more regular meals- research has shown that the food production of the world has increased by 17% with the use of this technology. The pros of genetic engineering in Agriculture relies on these logics. However, other few are looking at the dangerous proposition of this technology. Many people want to avoid genetically modified crops as some studies show that the changes in the plants’ internal cell structure can cause abnormal tumor growth and unexpected deaths. Basically, the new technology emerging is riddled with arguments and questions. Let’s know the pros and cons of genetically modified crops here. These are some of the pros of genetically modified crops. Genetically modified plants have minerals and vitamins added to them via modification processes. Thus it provides great nutritive benefits to the consumers. This is particularly important for developing countries where they have the least access to the needed resources. GMO crops have their flavors enhanced. For example, the peppers can become spicier and the corn can be made sweeter. Generally, the flavors can be made palatable with this technology. Altering seeds DNA can generate healthier crops by increasing resistance to insects and lowering the risk of crop failure as the seeds can resist extreme weather. It also provides a longer shelf life for safe and ensured transport of seeds to other countries. 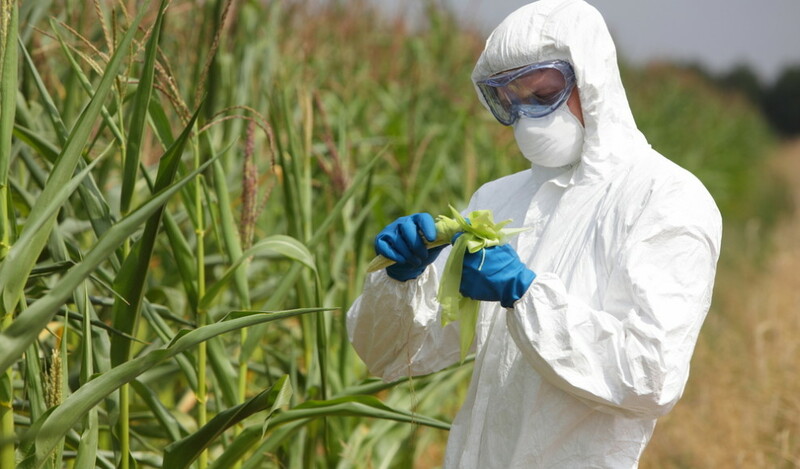 GMO are more resistant to unexpected diseases. This technology works like plant vaccine encoded in its gene instead of giving a shot given as to it is done in animals. Similarly, genetically modified animals can also within stand harsh climate and resistance against disease. GMO crops demand fewer chemicals, land, and machinery, which helps to lessen environmental pollution and greenhouse gas emissions. Farmers will have enhanced productivity without the use of chemicals. For example potatoes, corn, and cotton can grow without spraying bacterial insecticides. The use of molecular biology and genetics in agriculture produces vaccines, proteins, and other pharmaceutical products. The use of the chemical in medical can be replaced by biological substitutes with lesser side effects. These are some of the Cons of genetically modified crops. Genetic engineering creates resistance against some pathogens for plants and animals. But the bacteria and viruses evolve to the resistance of GMO as well. This causes the stronger pathogens that are more resistant. This would potentially create future health concerns that were unforeseen. Genetic engineering guarantees to make positive changes- creating more and healthier foods. However, some of these changes can be negative and unexpected. For eg: drought-resistant plants can be less tolerant to direct sunlight. Animals modified for greater milk production might have shortened lifespan so that the farmers suffer greater livestock. In the future, genetic engineering can change the specific traits, which can create outcomes that are ethically questionable. The knowledge can be easily abused resulting in greater risks. Many companies copyright the genetic engineering processes in order to maintain their profitability. If a farmer plants GMO, the pollination can cause the crops to grow in another nearby field, legal actions against the “unauthorized” farmer can be produced. This can create several costly consequences. Technology comes with both advantages and disadvantages. While genetic engineering in agriculture can create results that are generally positive, there must be strict controls to manage the negative effects. Let’s welcome this revolutionary trial in agriculture with a warm heart and let’s try to minimize the cons.